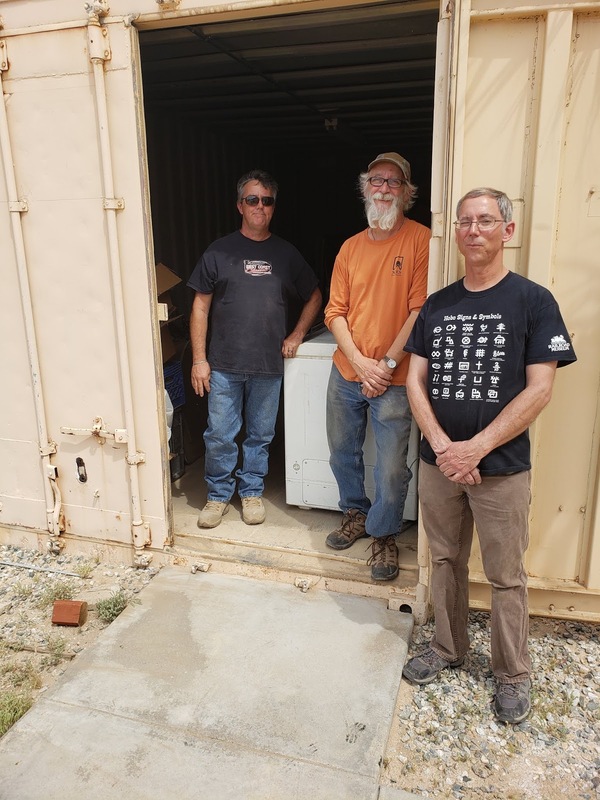 Kip Fjeld delivered a new-to-us chest freezer yesterday to the Wonder Valley Community Center. The Friends of Wonder Valley spent $100 for the additional freezer for the rare occasions when our USDA food delivery exceeds our storage space. We're hoping that in the future we'll be able to receive food from other sources to distribute. The freezer will help us store it safely. Thanks to everyone who donated to the Friends of Wonder Valley, and made this purchase possible. 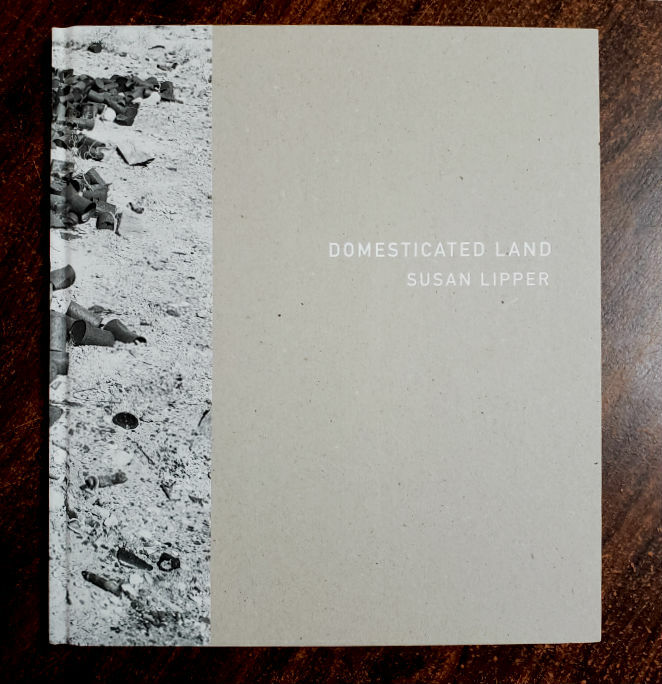 Artist and Guggenheim fellow Susan Lipper was visiting in Wonder Valley last week, and donated a copy of her new book Domesticated Land. Many of the photographs in the book were taken in Wonder Valley. The book will be available at the Wonder Valley Community Center, for people to look through while on the premises. 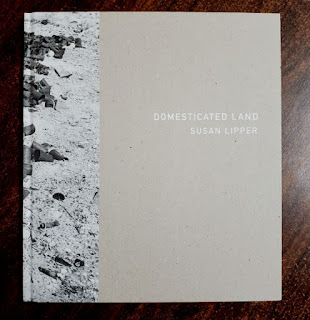 Thank you, Susan, for your donation. Mobile Medical Unit, and More. This morning we received a recurring monthly donation from a supporter. Personally, I love the recurring monthly donations, as small as $5 a month, because when I see them come across in my mailbox, I know that -- in the midst of all the hard work -- we are not alone, that the work we do is supported by our community. Today the WVCC is hosting the Salvation Army Food Distribution, which feeds about 50 families. 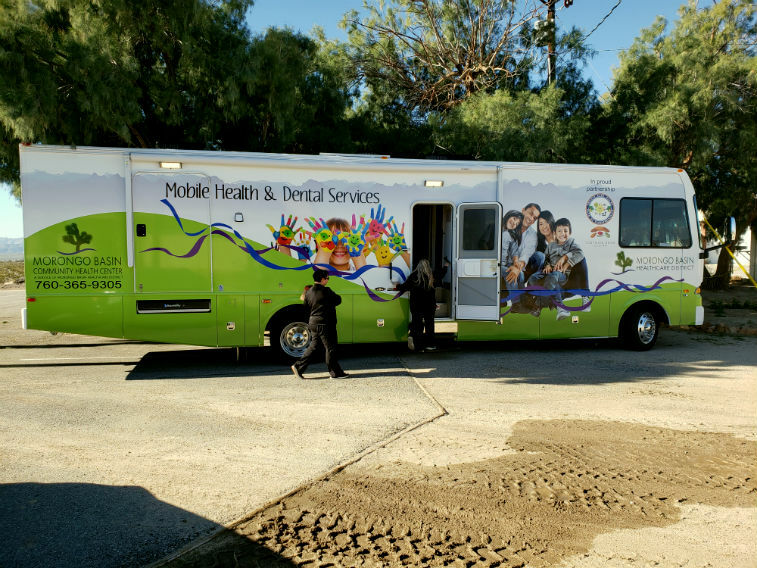 In addition, for the FIRST time, the Morongo Basin Healthcare District is bringing out their Mobile Medical Unit to see patients on the ground AT the WVCC. While these are WVCC events, they are supported by the FOWV. 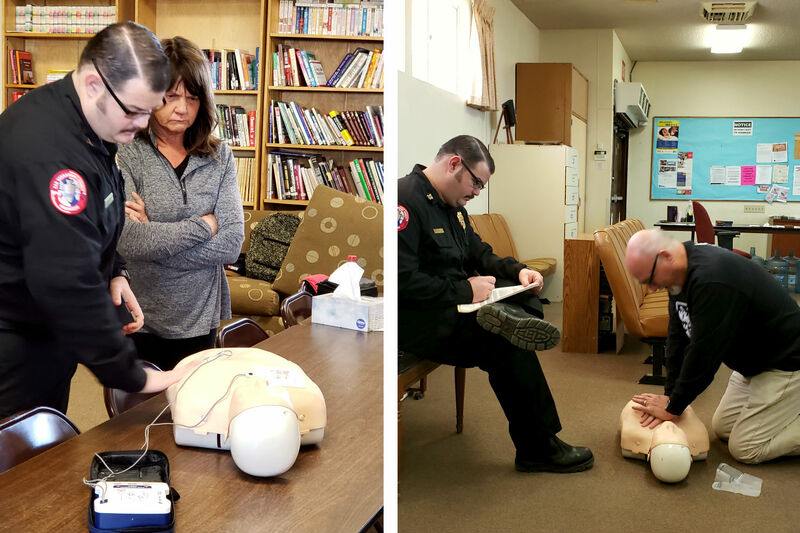 Last week we hosted a CPR/AED class and 9 WV residents were trained, 3 on scholarships from FOWV. of CPR, AED, and First Aid. We're buying a second freezer to help with overflow food from the USDA Food Distribution, and just bought a 2-sided vinyl sign to advertise the upcoming Community Cleanup. These may all seem like small things, but these are small things the community could not previously afford -- and now they can! Sign up for a small (or large) monthly donation at the link to your right. People are asking us what we do. Here is a short list of some of the day-to-day things we do, and our plans for the future. We've also just partnered with Twentynine Palms Community Food Pantry to keep emergency groceries on hand. We're applying to partner with Feeding America Inland Empire, which requires a $50 application fee, a $22 food handlers license, and onsite training in Riverside. This will open a lot of possibilites for us, including the possibility of signing people up for SNAP, and providing fresh vegetable distributions once a month. partner with Morongo Basin Ambulance to have CPR/AED trainings for our volunteers and other community members, and offer scholarships for those who cannot afford the training. partner with Tenet Health to bring Stop the Bleed certification classes to Wonder Valley. 16 people were trained in 2018. We need to train many more. Teresa has partnered with Morongo Basin Healthcare District for several years, volunteering at the Community Health Fairs. Her volunteering and continual lobbying has been instrumental in bringing a Mobile Medical Van to Wonder Valley in early 2019. We will continue inviting Lanny Swerdlow to Wonder Valley to update us on medical marijuana and the management of pain and anxiety. To have a two-hour event at the WVCC costs a minimum of $20 in facilities fees, $80+ for event insurance, and $250 for a refundable cleaning deposit. These fees make using the Community Center prohibitive for most people in Wonder Valley. Our MAIN goal is to make the WVCC useful to the Community and we do so by covering the fees for qualified meetings. 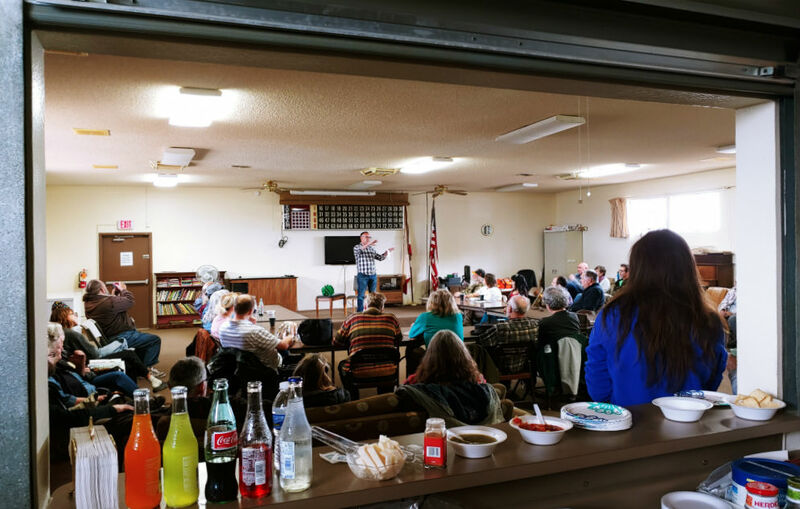 A qualified meeting is not aligned with a political party or candidate, is nonsectarian, open to the public, beneficial to Wonder Valley, and the hosts are unable to afford the facility fees. Over the four years that Teresa Piccolotti Sitz (our board secretary) served as the County MAC Delegate, she produced more than 55 events at the community center. Since July FOWV has directly covered the costs (facilities fees, insurance, and cleaning deposits) for 5 Artists of the Month; Weed Show Presentation with Ted Meyers; Living with Snakes, with Jane Fawke; Stop the Bleed; Owls, with Susan Doggett; A Particle of Dread, with Miri Hunter (theater); Finding Fulgurites, with Darlene Parris; and local author Catherine Connors reading from her new book,The Feminine Revolution. In January we will start applying for grants. We hope to get a humanities grant to cover the cost of 8 to10-part series on the history of Wonder Valley; a corporate grant to cover the cost of new tables, chairs, and curtains for the WVCC; a corporate grant to cover the costs associated with expanding our food programs so that we can add additional distributions; a grant to cover the costs of joining the Highway 62 Art Tour in October 2019 -- giving local artists a low cost (if not free) venue to show their art during the tour. We're in the process of updating the bingo equipment, and learning how to run bingo. We will be able to apply for Bingo and raffle licenses in July and will then work to add these to our event lineups. We take our goals seriously and review them often. Every event and every expenditure must meet one of our goals. Teresa served on the Silver Lake Neighborhood Council in Los Angeles for three years - she was elected twice. She served as secretary for her last year, working closely with the Los Angeles City Attorneys office on issues of compliance. She is the secretary for the Friends of Wonder Valley and is making sure everything is by the book from the beginning. Check out our GuideStar profile if you'd like to know more. 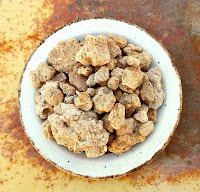 After going on the last fulgurite hunt, last April, I saw them everywhere and started a good-sized collection. Darlene Parris, one of the sisters who writes the Wonder Valley column in the Desert Trail, will show us fulgurites that she has collected and tell us all about them. Meet at the Gazebo in the Wonder Valley Park, at the corner of Amboy and Blower Roads, next to the Old Fire Station, at 11 a.m., on Wednesday, November 7, 2018. There is a $2 suggested donation. A fulgurite is formed when lightning hits wet sand. The sand melts and turns into a melded conglomeration of tiny rocks and sand. The average temperature at creation is 10,000 degrees. Then Darlene will take us walking in the nearby desert behind the park and show us how to FIND fulgurites. We won't be walking far -- maybe 20 feet, or so. Everyone will go home with at least one fulgurite. You can't miss the 80' tall cell tower palm tree. This was a great event. 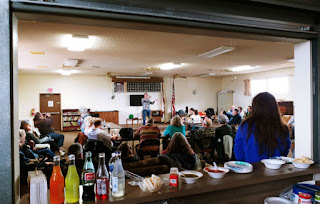 We had about 35 people, coming from as far away as San Bernardino and NorCal. Everyone found at least one fulgurite and there were many happy people. It was a beautiful day for an easy little walk in the desert.